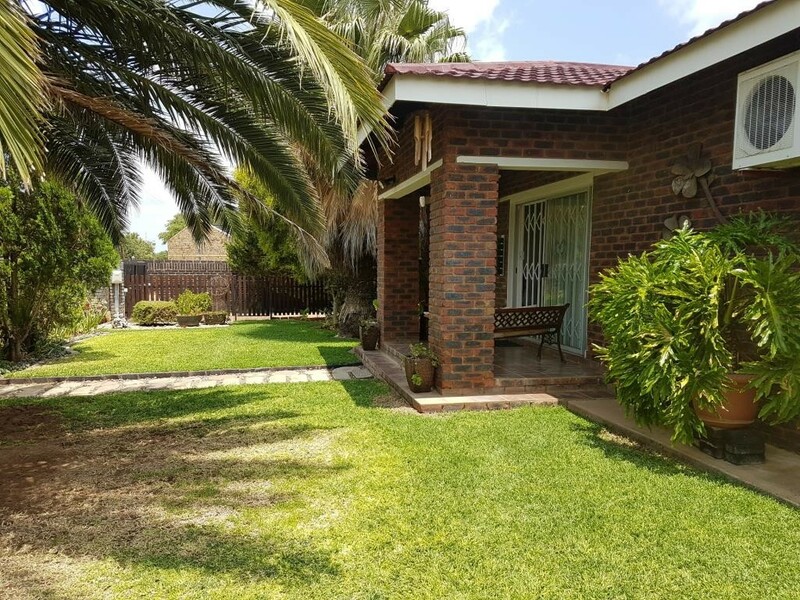 This 4 bedroom house in Stell, North West, is an amazing luxurious home for the whole family. It also comes with two bathrooms, beautiful open plan kitchen and a big entertaining area consisting of a jacuzzi, built-in-braai and bar. Outside you can enjoy a swimming pool and a big, beautiful garden that are fully kept by a strong borehole. This property also has a separate well established nursery with own entrance. The nursery is an additional rental income.